Manchester United got off to an impressive start in their 2017-18 Premier League season after winning 4-0 against West Ham United. This was clearly the start Jose Mourinho wanted, and it also showed the new players are adjusting quickly to the side. But the transfer window is not closed yet, so there is time left to keep making moves. United could still use another attacking player, but there are others who need to leave on loan. Some players need to continue their development, and others are simply not good enough to feature in the side anymore. Without further ado, here are three players United should let go on loan for the remainder of the season. It is not a secret that Mourinho is a big fan of Joel Pereira. 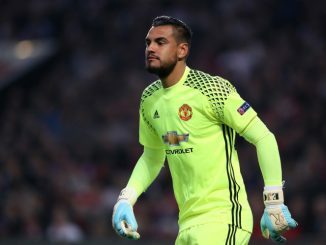 In fact, Mourinho has praised him every time he has had the chance, and even called him “the goalkeeper of the future” in the club. But if the Portuguese shot-stopper wants to reach his full potential, he needs to play. And that’s not going to happen at United, at least during the current season. David De Gea is the clear starter, and Sergio Romero is the backup. This basically means Pereira is confined to a third-string GK role. It could be useful for him since Sam Johnstone was already sent on loan to Aston Villa. But what if United decides to loan Pereira as well? It doesn’t sound like the best move since that would leave Mourinho with only two goalkeepers available, but there are ways to make it happen. 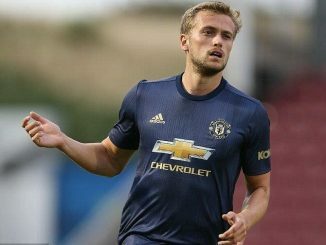 For instance, United could loan Pereira to a Championship side with a recalling option, meaning that he’d have to come back to Old Trafford in case of an injury or a suspension. It doesn’t sound like the best idea, but it certainly is the best scenario for his development. Especially if we consider that De Gea will likely be linked with a move to Real Madrid in the near future once again. 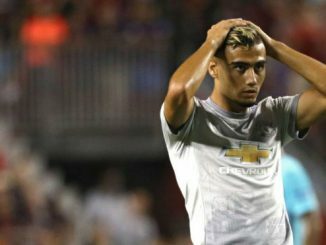 Andreas Pereira’s case is quite complicated. The Brazilian playmaker is considered one of the brightest talents in Europe, but preseason showed he is not ready to feature on a prominent role for United yet. And considering he still needs to continue his growth, another loan would be the best scenario for him. Pereira already spent last season on loan at Granada. Fortunately for United, there is enough coverage in midfield. Nemanja Matic, Paul Pogba, Ander Herrera, Michael Carrick and Marouane Fellaini can defnitively handle the midfield roles during the season. And if we add the fact that Henrikh Mkhitaryan and Juan Mata can play as attacking midfielders, the competition for playing time will be tough. So Pereira would be better suited to move elsewhere. He needs to play regularly on a first-team role. That’s the only his development will continue on the right path. Wilson is clearly down in Mourinho’s pecking order. The arrival of Romelu Lukaku only complicates things even more for the talented prospect. Wilson now has to battle with Lukaku, Anthony Martial, Marcus Rashford, and even Mkhitaryan for a glimpse of playing time. In short – we will not see him a lot with the team this year. And while he is not getting any younger, he is still only 21 years old. Time is on his side, but the only way he will develop further is by playing on a first-team squad. So United should pursuit a loan to either a Championship or a lower Premier League side needing depth on the attack. United are covered upfront, and Wilson simply does not have space on the squad. James Wilson Joins Aberdeen On Loan – Is Marcos Rojo The Next Man Out? We are in enough competitions for all of these players to get games and game time. Only two goalkeepers left? No! Andreas has already done a loan in a top European league. No! Wilson? Maybe a sale. Wilson should just be sold. Wasting time if we think he can end up at United. Not good enough and that’s okay. I’d like the two Pereira boys to stay but maybe another loan would be ideal. I think Axel Tunazabe, Scott Mctominay, Demitri Mitchell should move out on loan either in championship or to some other mid table sides from other leagues like Bundesliga,La liga or even in the Dutch League. And some others like Taihth Chong and Angel Gomes, Callu Gribbin should also explore some first team opportunities in some lower leagues. Man Utd to maintain the squad for better move.